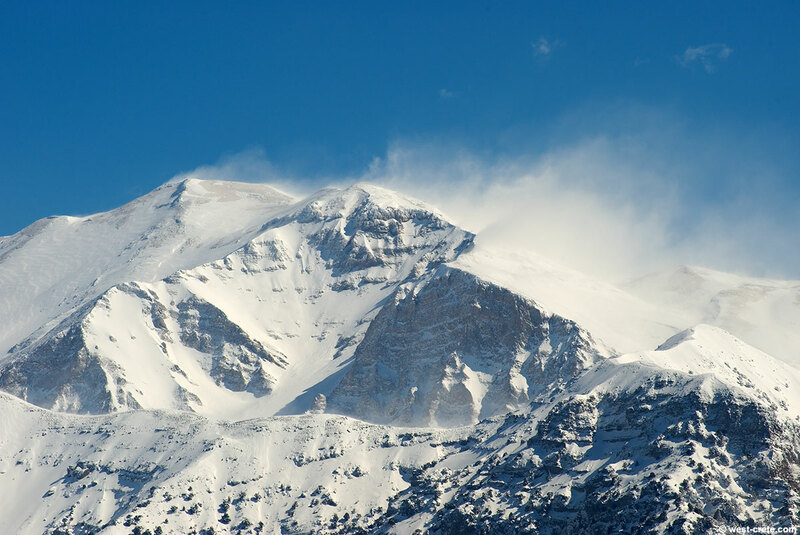 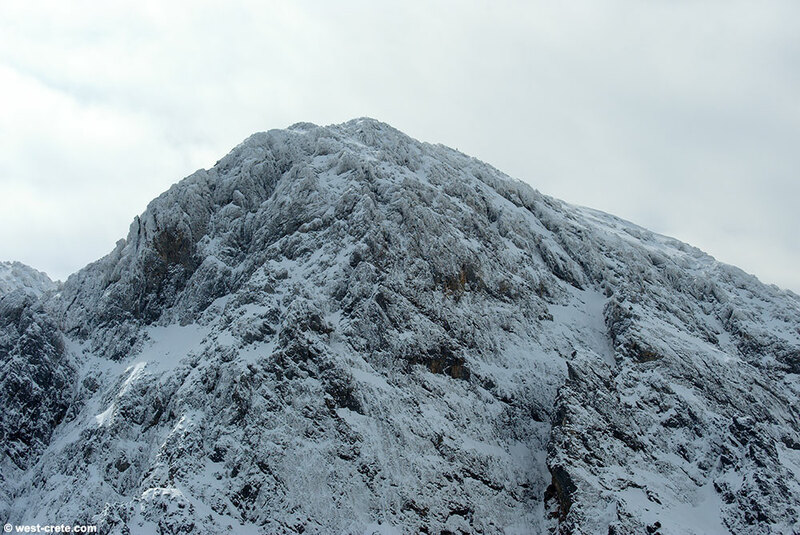 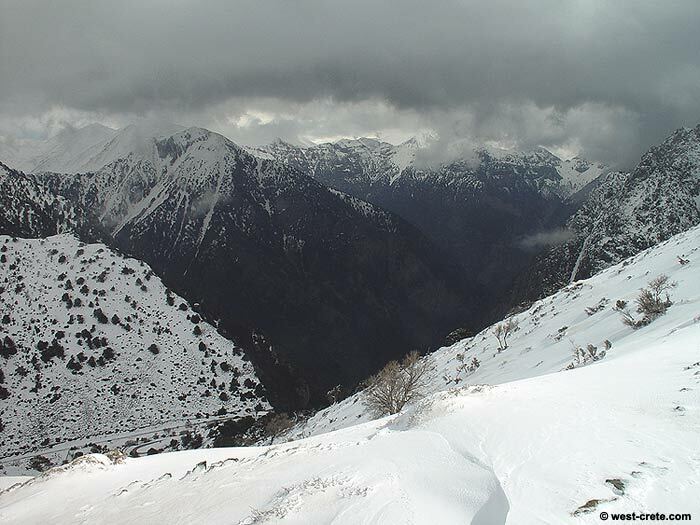 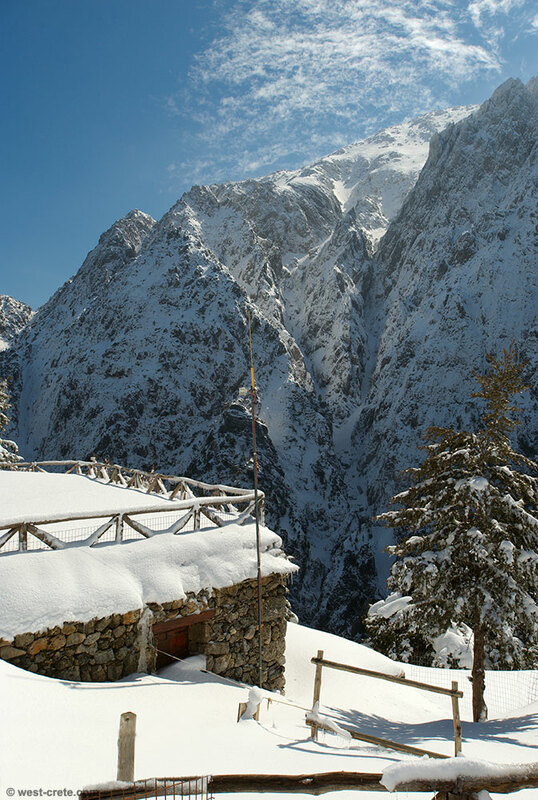 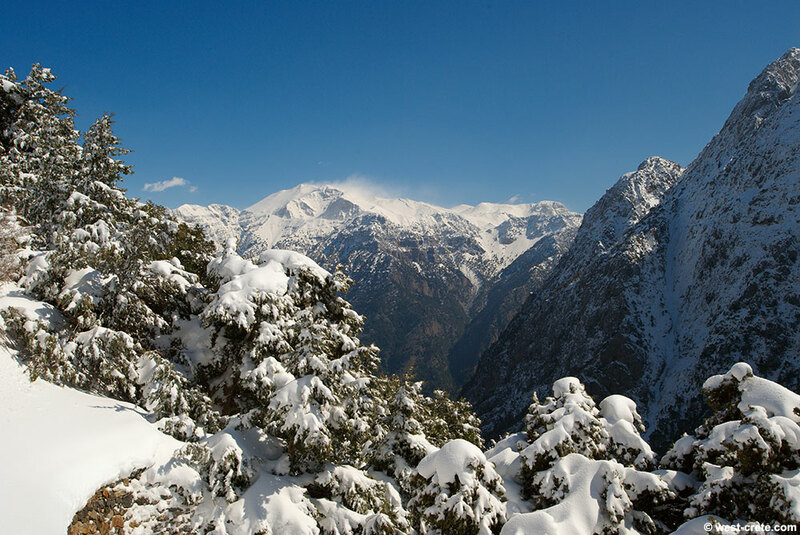 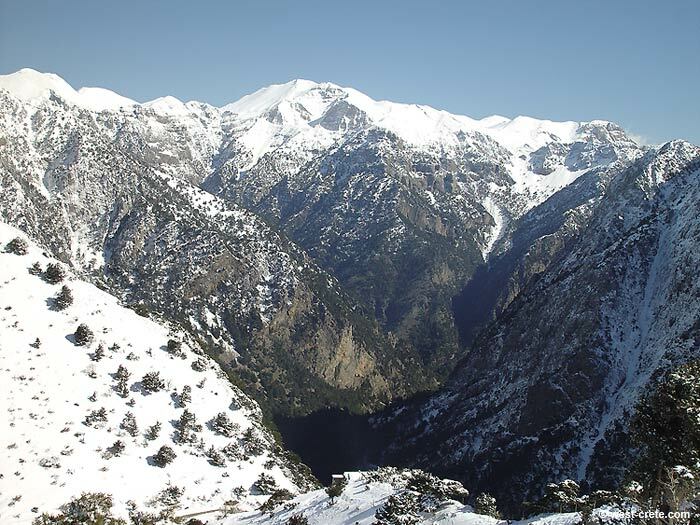 Located at an altitude of between 1100 and 1200 metres and with yearly precipitations of up to 2000mm (that's 2 metres!) 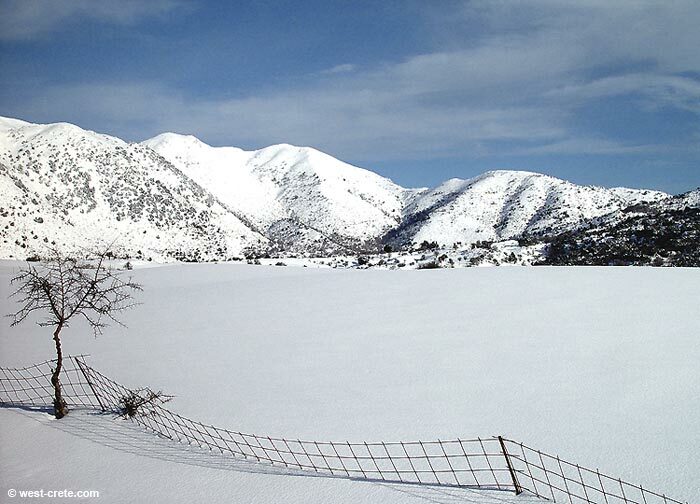 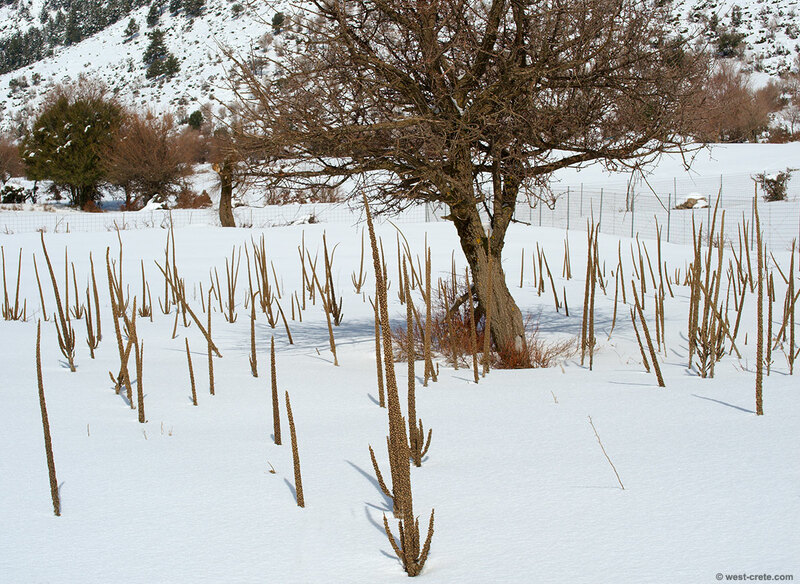 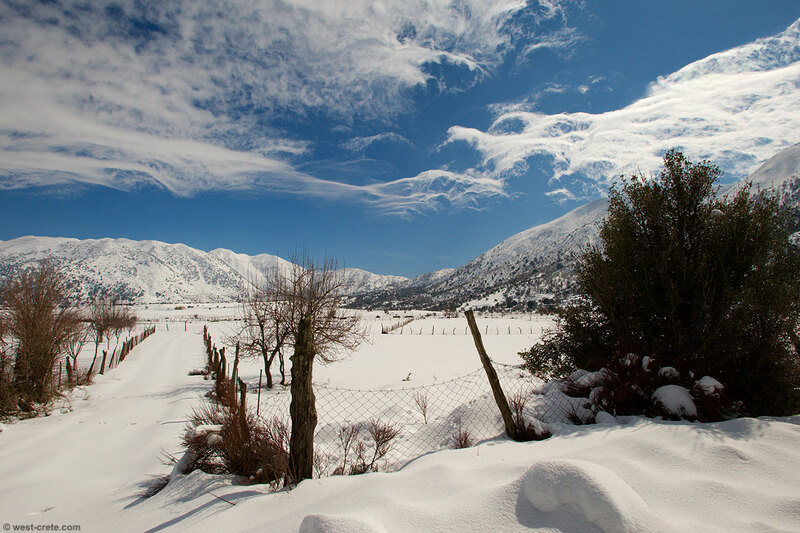 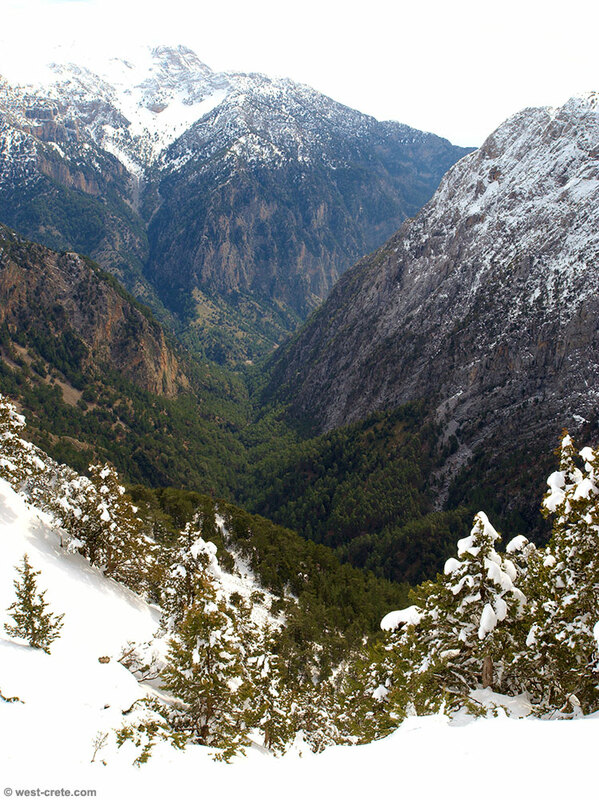 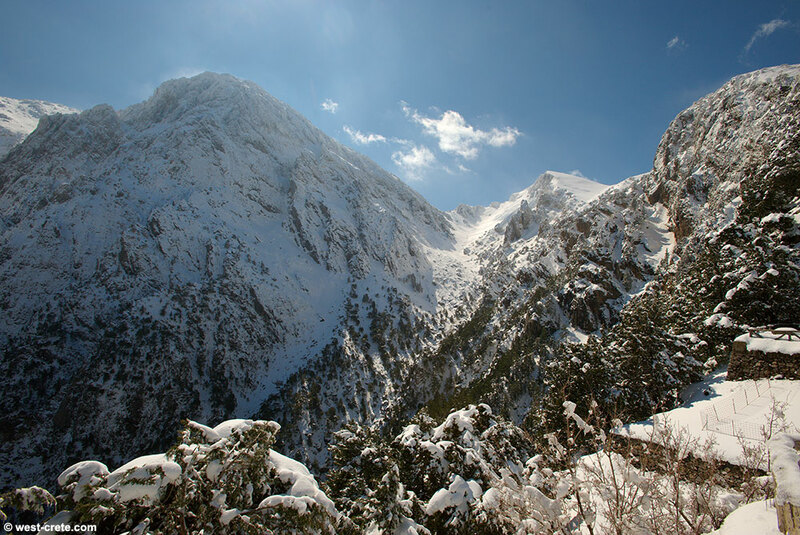 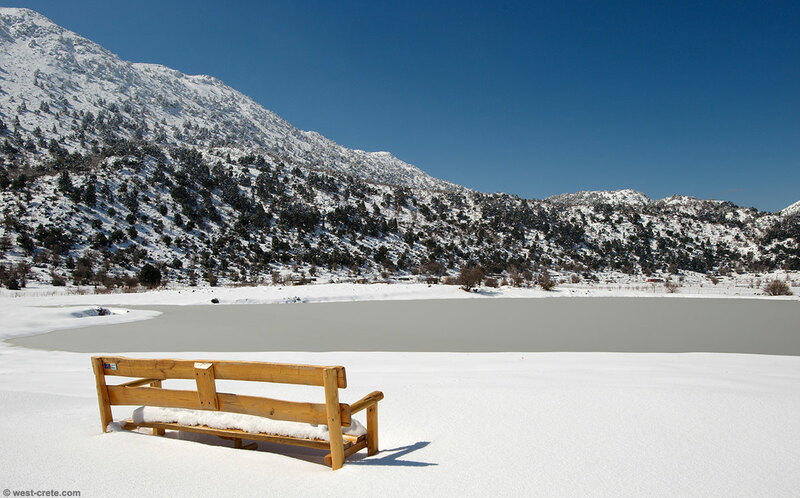 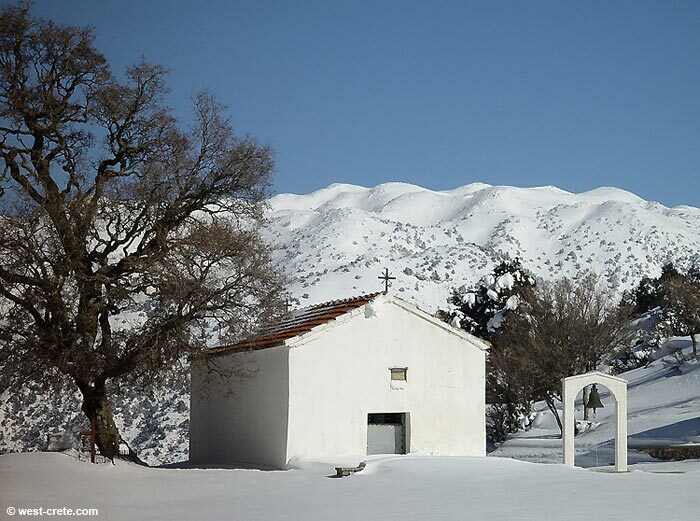 falling mainly in the winter time the plateau of Omalos gets a lot of snow and is well worth a visit or more if you get a chance. 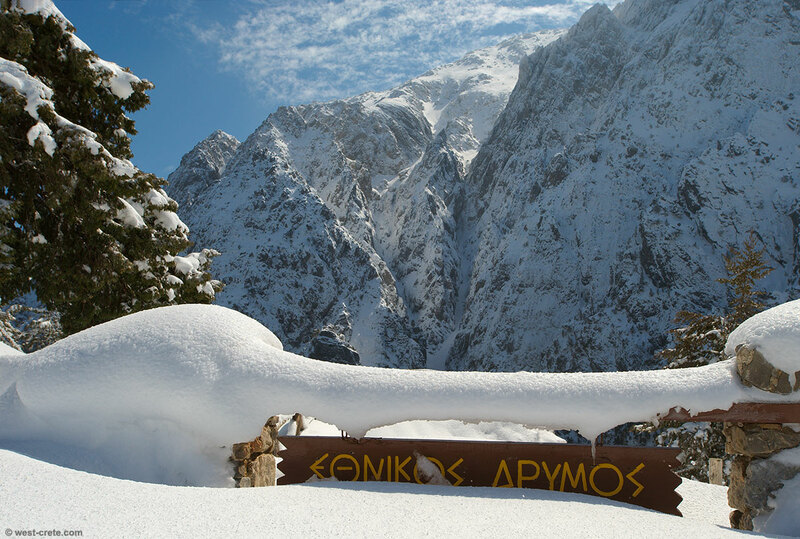 Because a lot of Greeks also come to Omalos in winter several hotels (with restaurants) stay open in winter, al least at weekends. 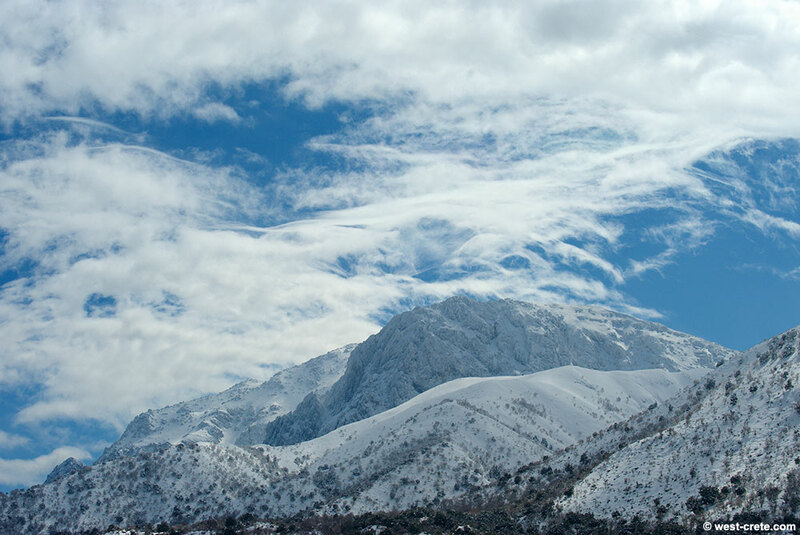 Among them To Exari and Neos Omalos. 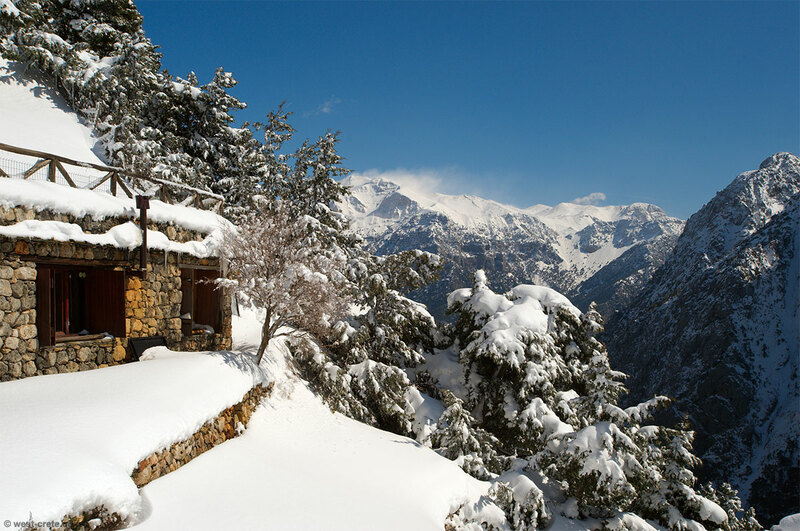 If you want to come and stay there at the weekend make sure that you book in advance as they can sometimes get pretty busy. 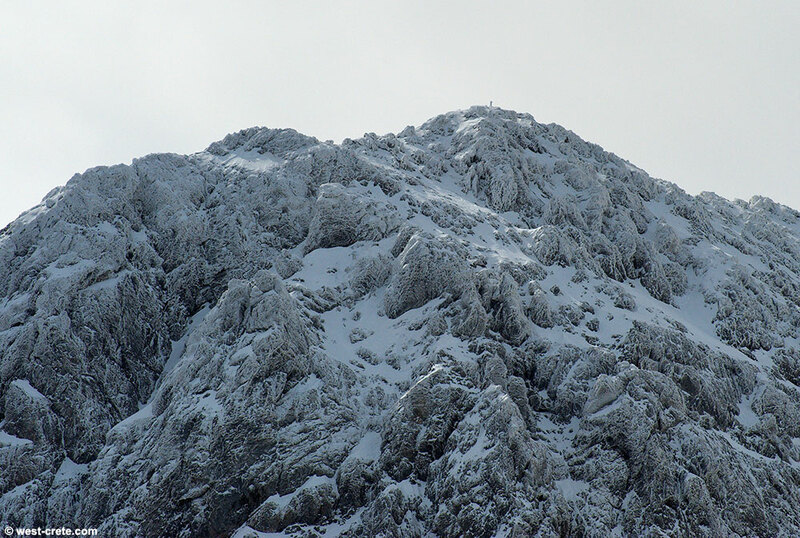 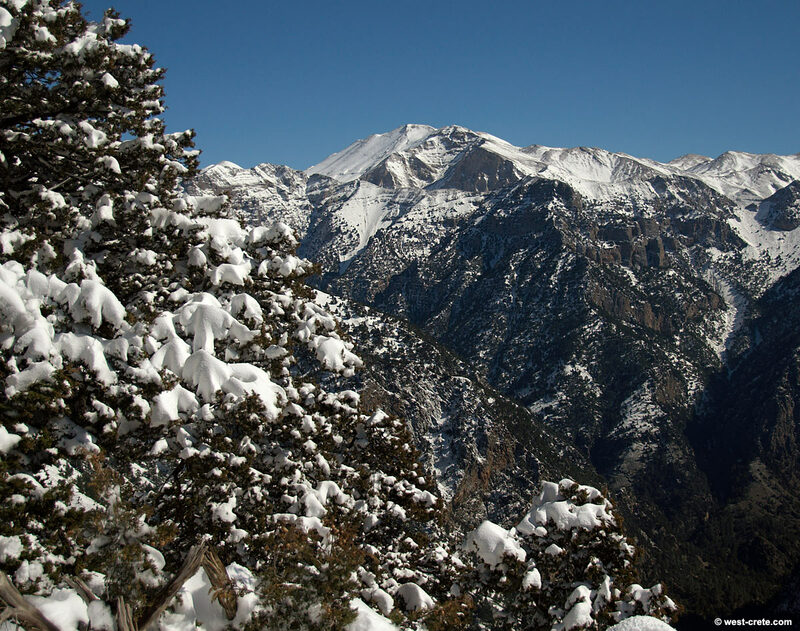 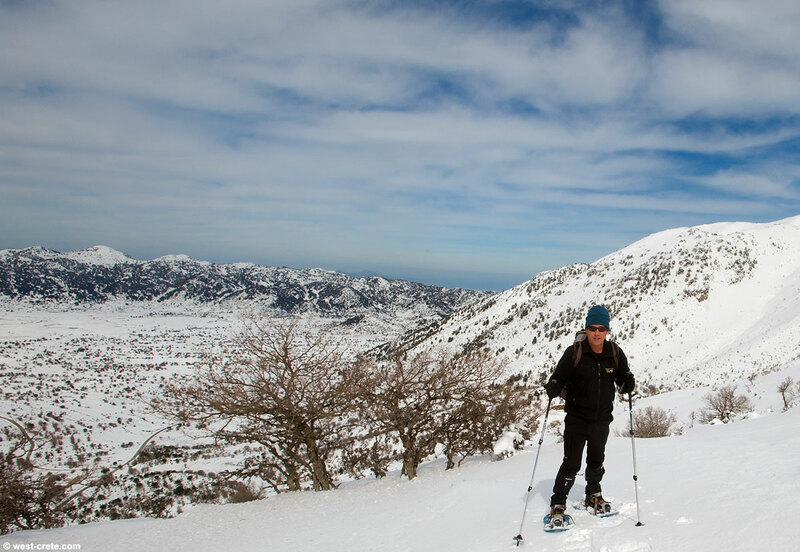 There are some excellent walks that you can do from Omalos but considering the quantities of snow (at times) you better have the right equipment. 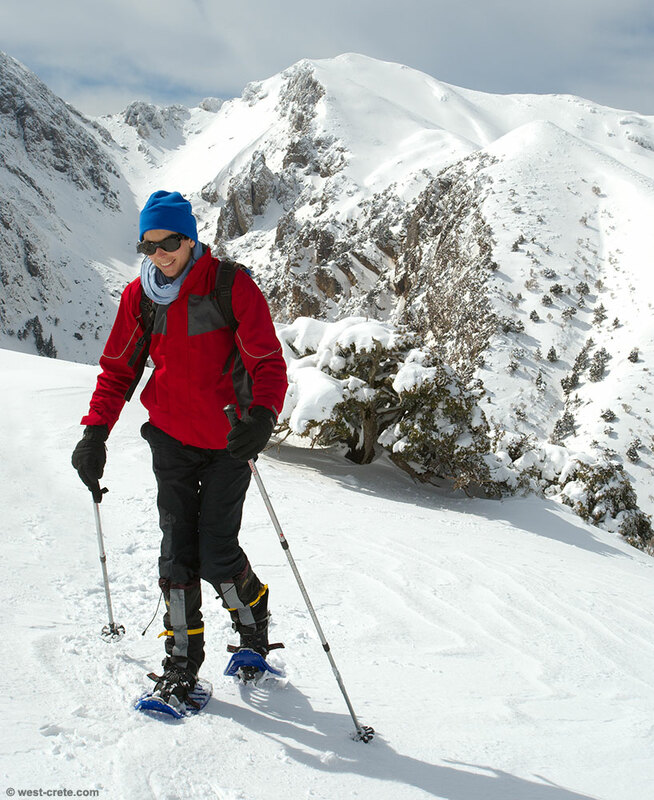 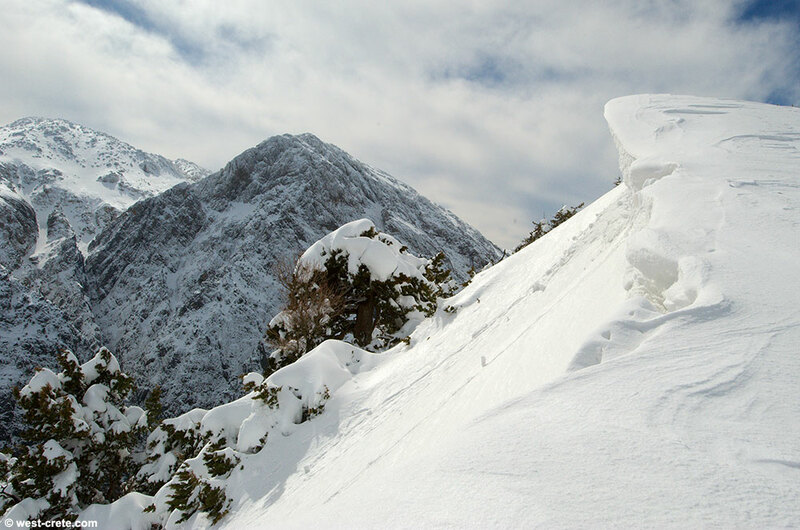 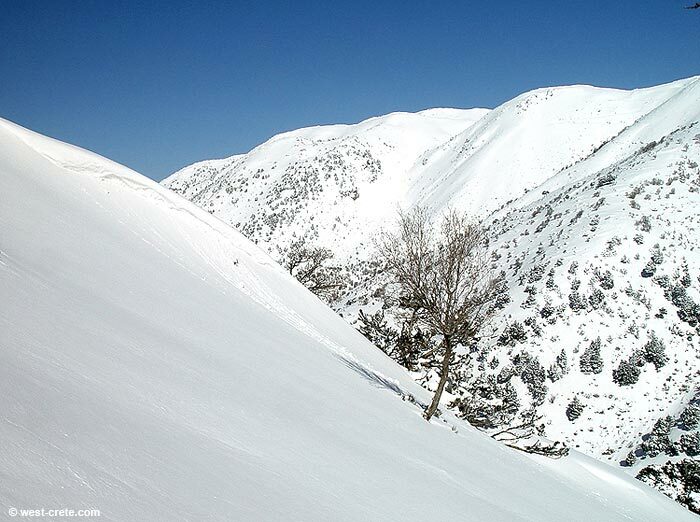 Snowshoes are great and for higher slopes you might need crampons and ice axe. 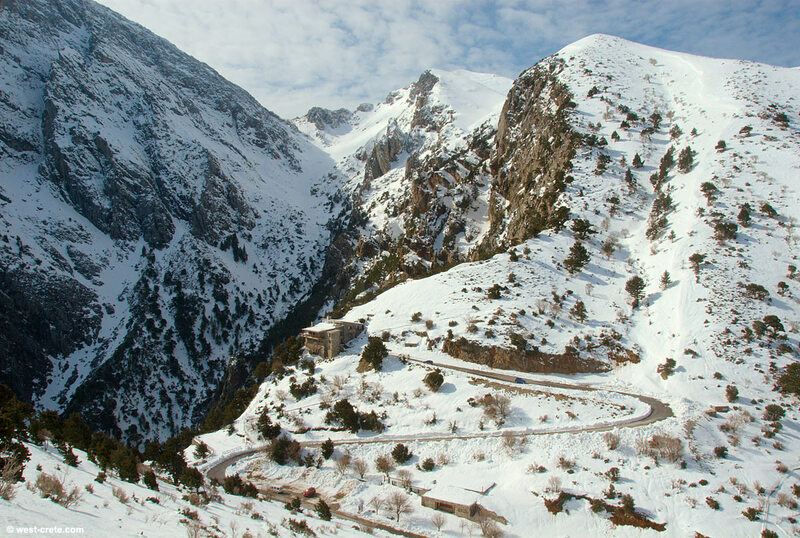 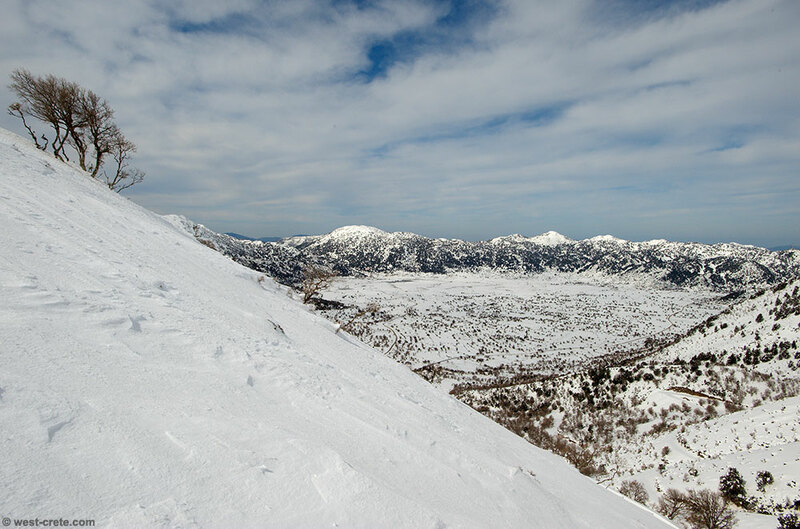 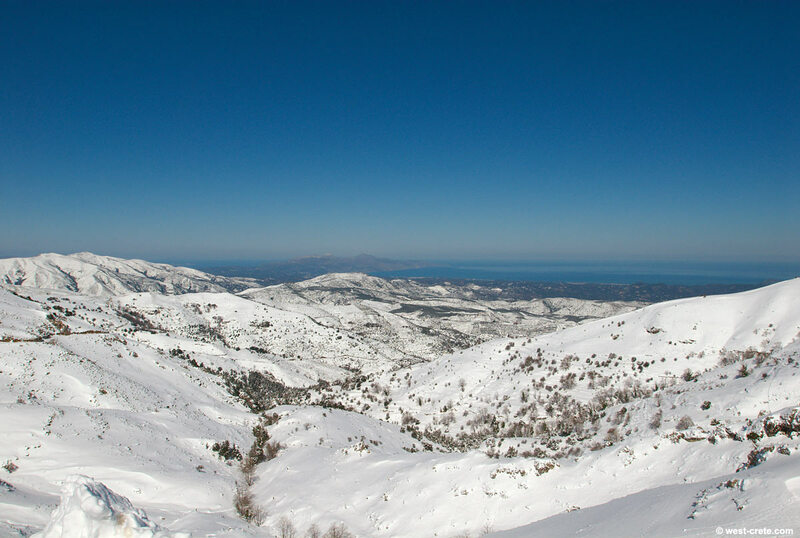 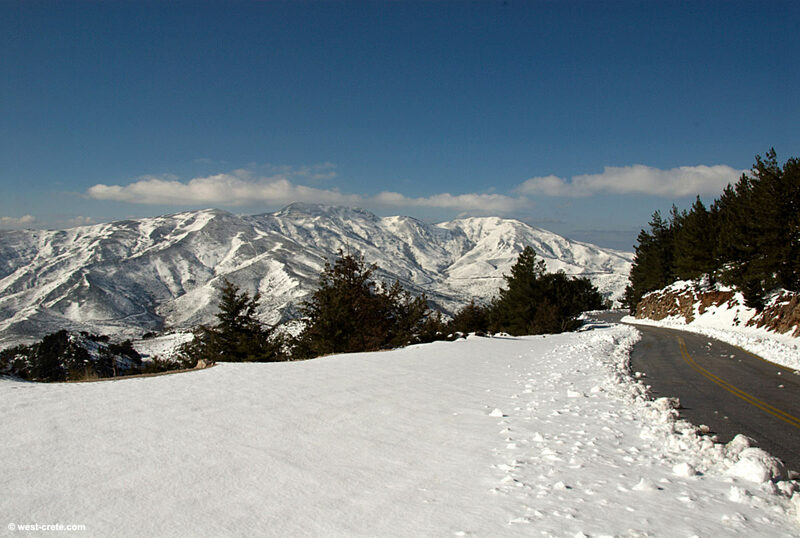 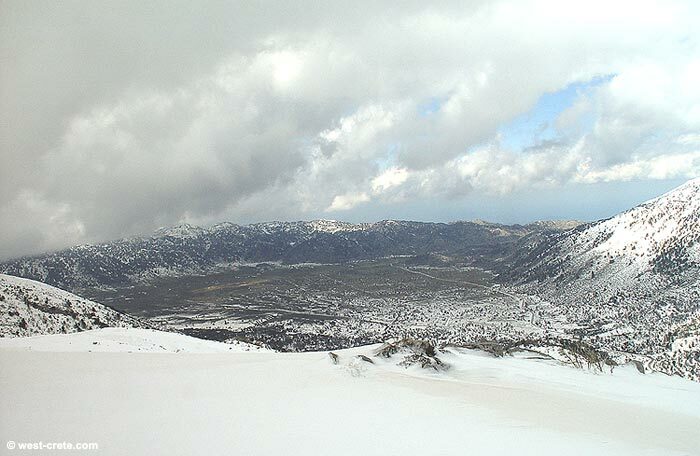 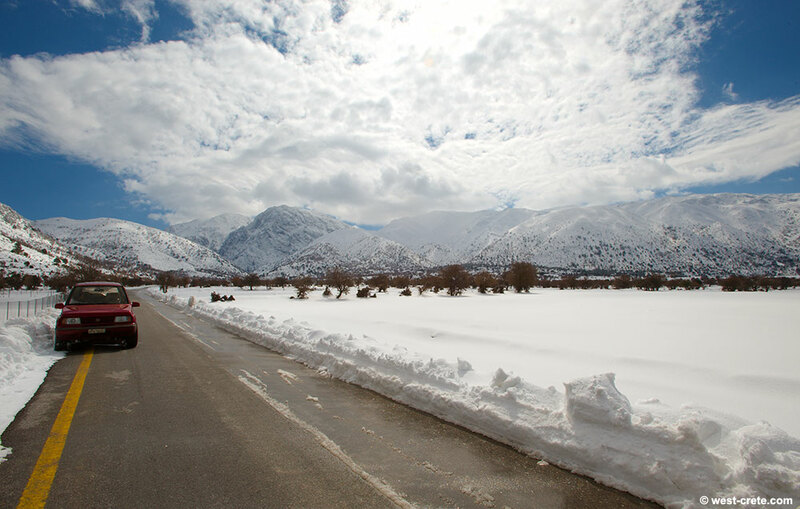 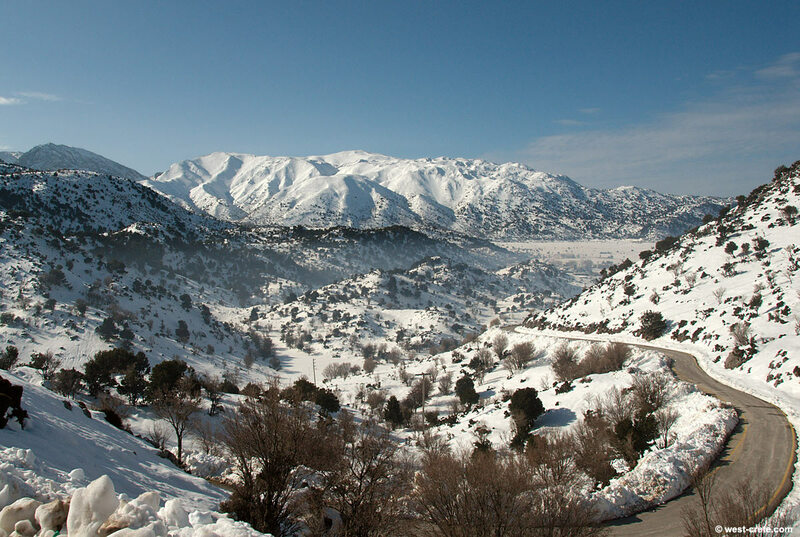 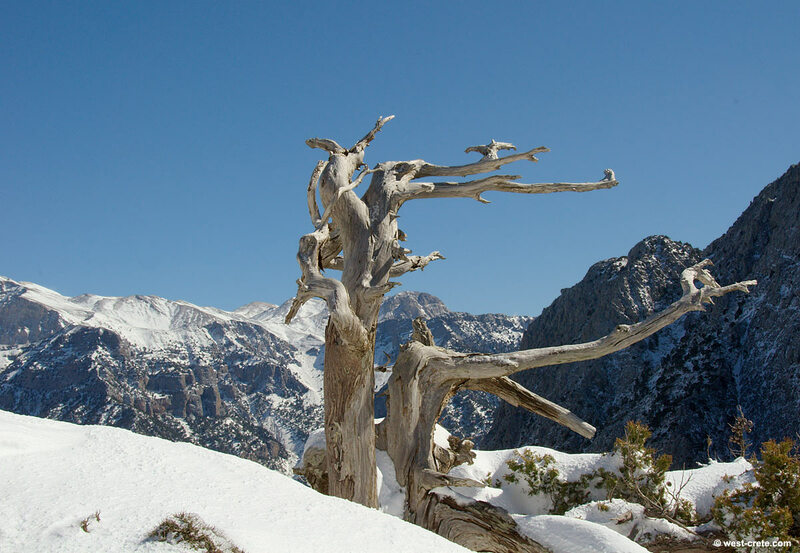 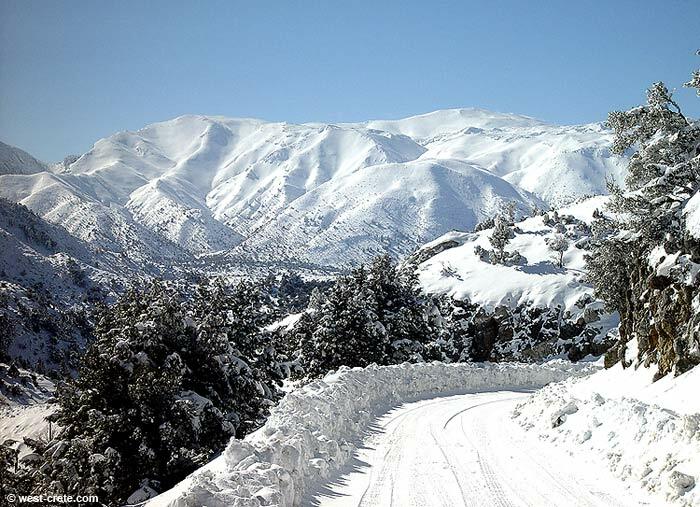 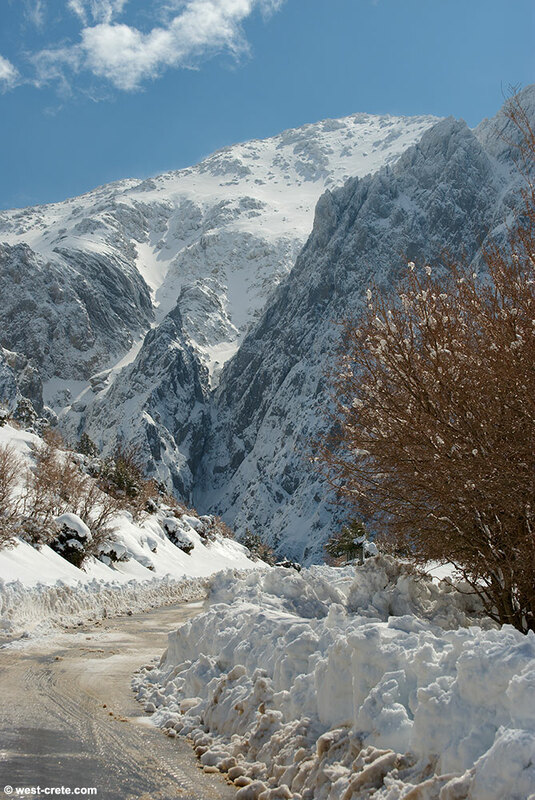 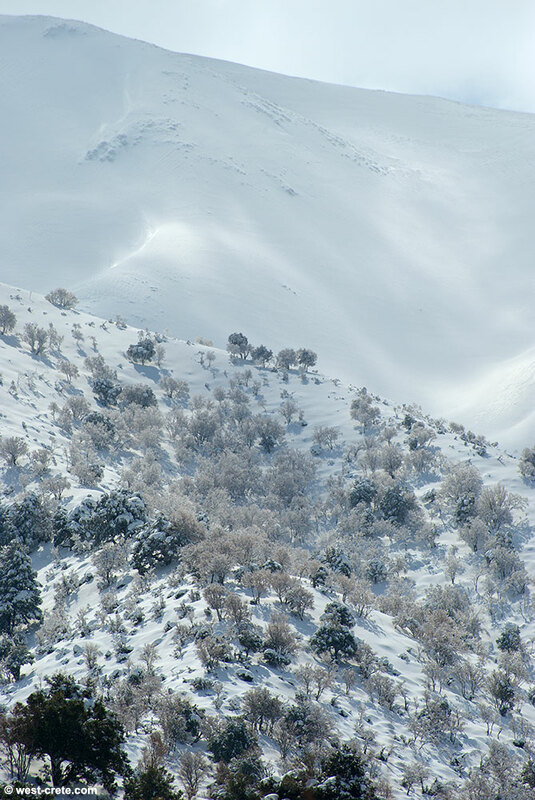 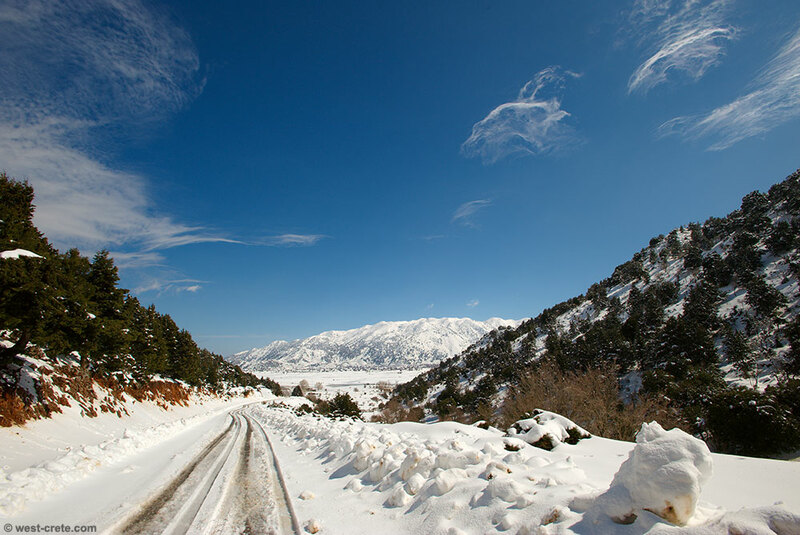 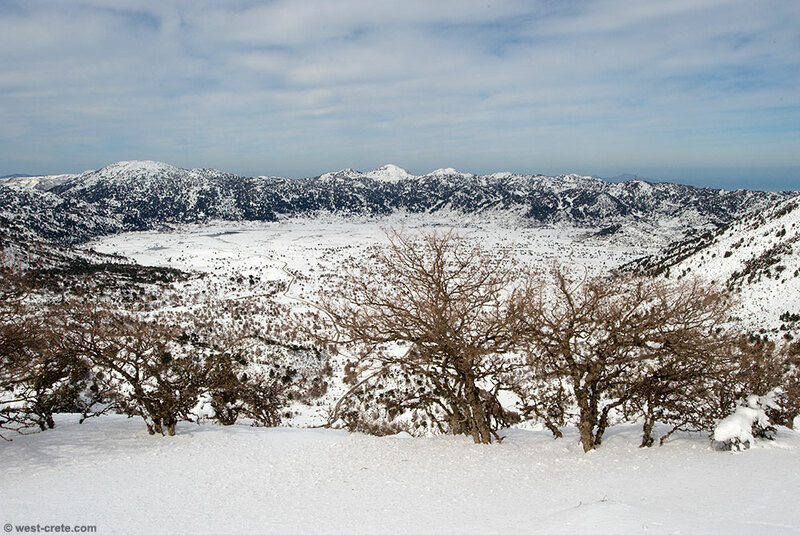 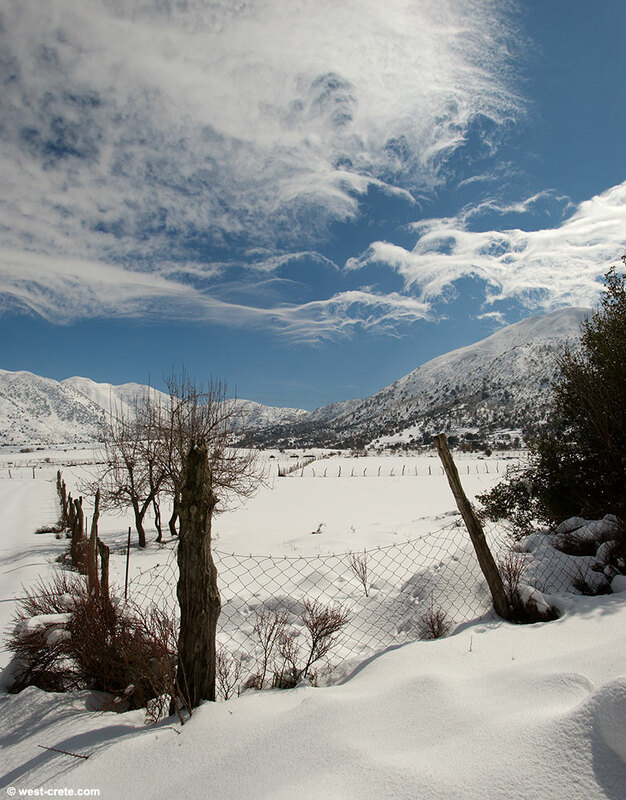 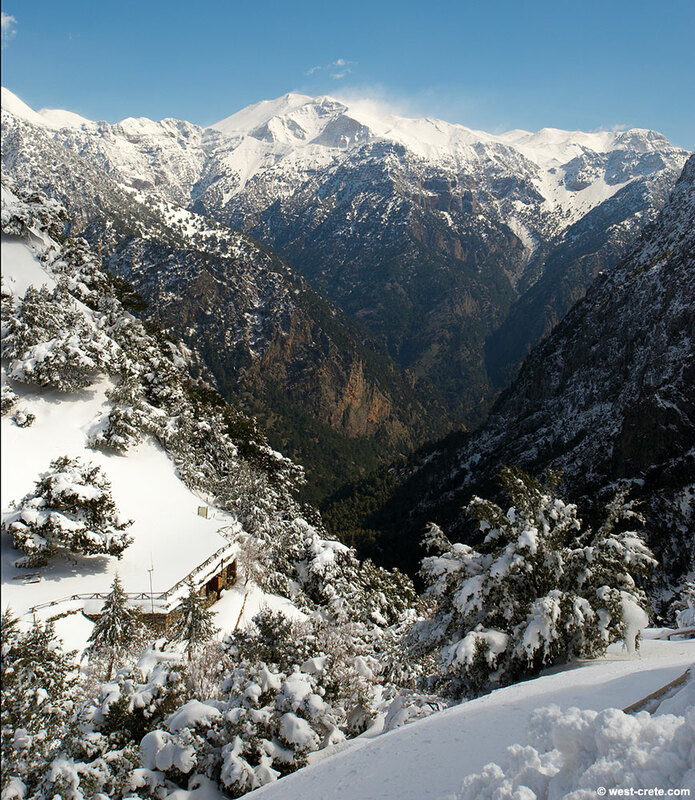 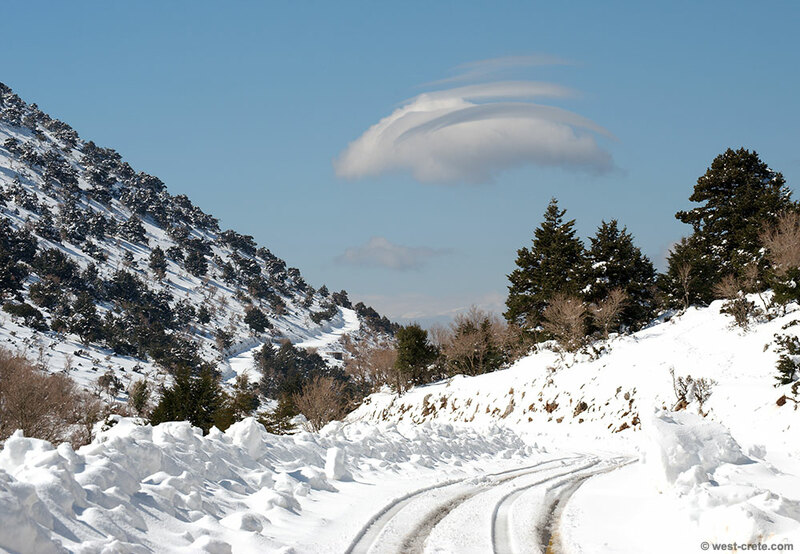 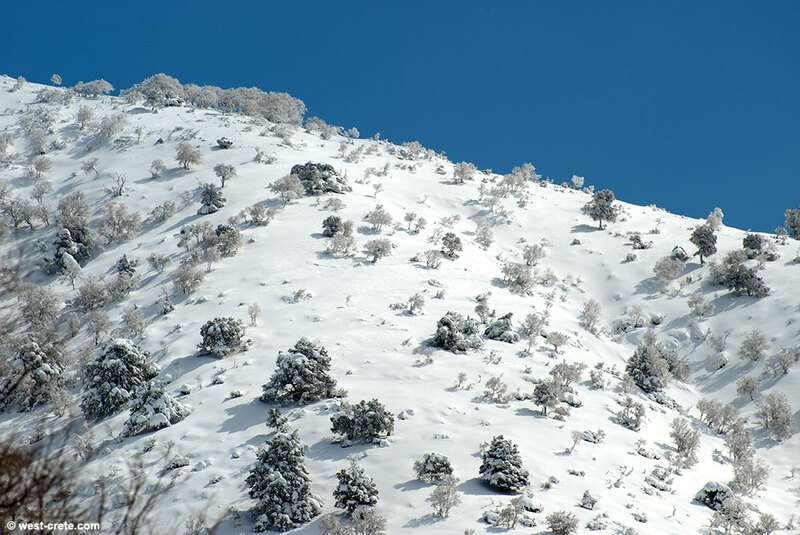 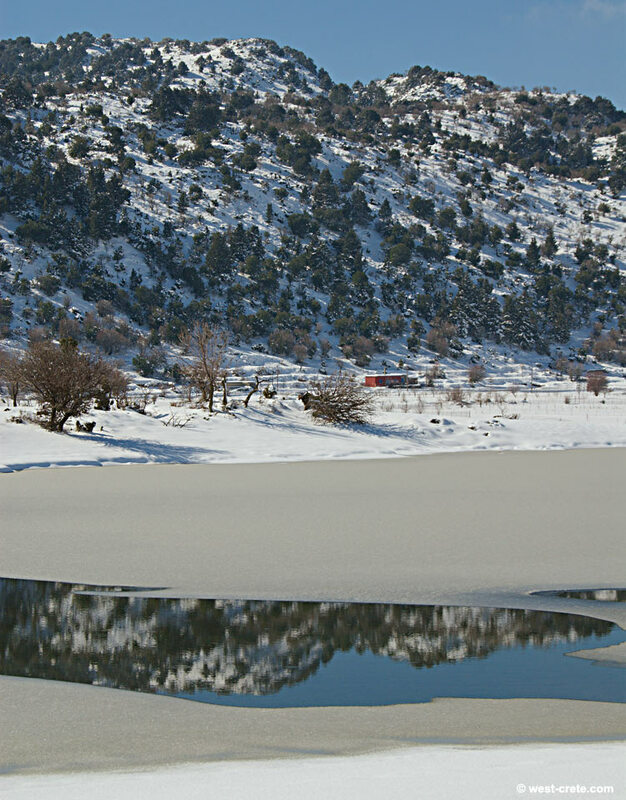 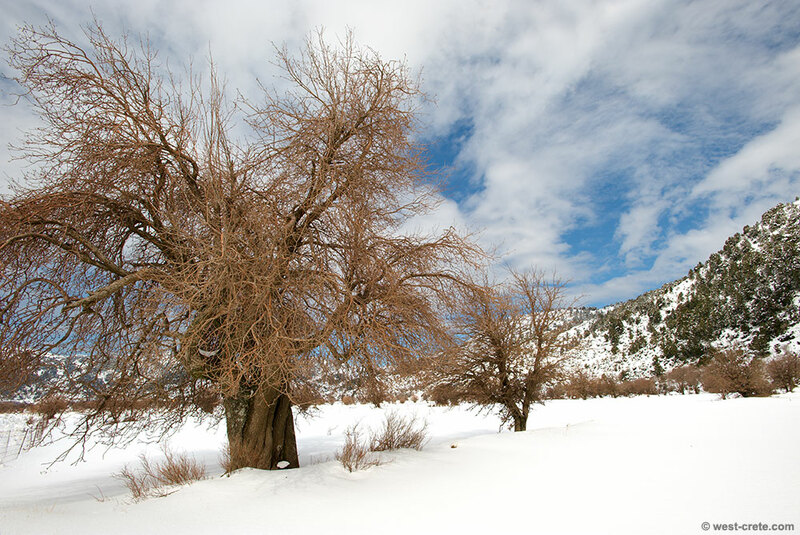 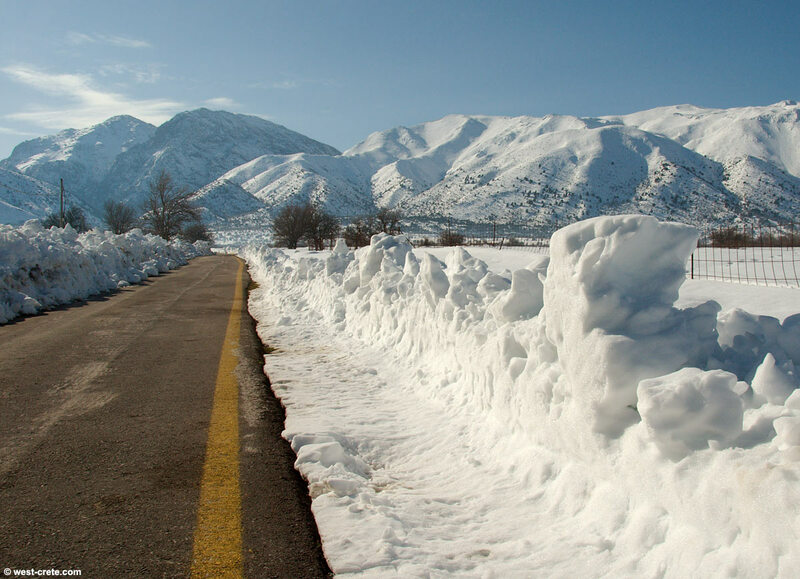 Most people choose to stay on the plateau (partly because most Cretans do not have adequate snow gear and partly because they shun physical exercise) and will not venture very far at all so you'll generally get the hills to yourself.